I guess this is a photo of one of the cooks at the Google office in Mountain View, California at the GooglePlex. 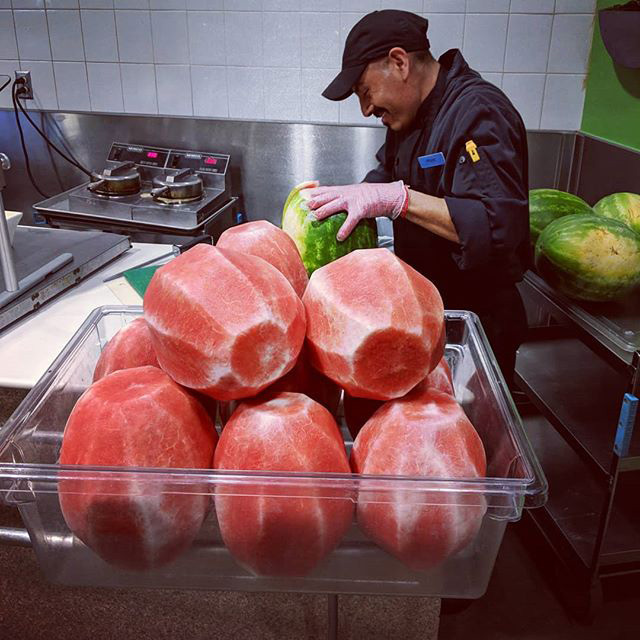 Looks like they are preparing a lot of watermelons for snacks for the Google staff. I wonder how many of these they have to cut up on a day to make the Google office there happy? This was shared on Instagram and the person who shared it wrote "There will be no #watermelon waste at the Googs."